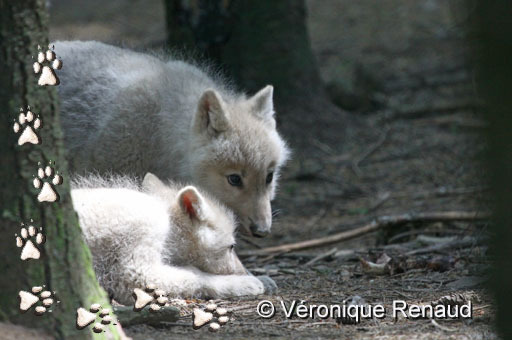 Two beautiful arctic wolf pups were born this year in the Wolf Park of Chabrières, in the middle of France. This is in the heart of a large forest, a wonderful place to go and spend time to observe nature. I would like to share some of the moments that I have spent in this forest with the arctic wolves who have had two adorable babies this year. They were at the age of 1 month and 3 weeks when I took these photos at the end of June. 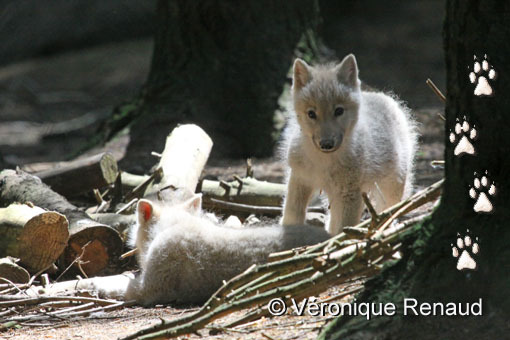 It was such a pleasure to see the wolf pups playing, running with each other, sometimes making naps and cuddling together ... everything is a new discovery for them! Each new sound in the trees is a surprise... sometimes a little noise, and they rush back to the den, to take shelter! 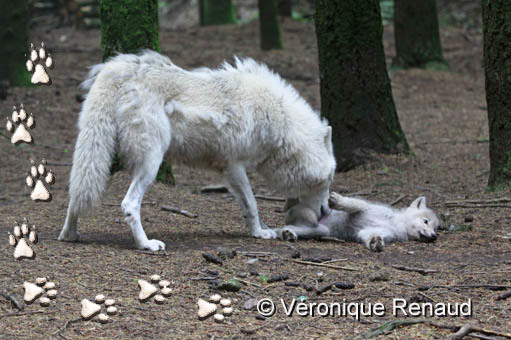 The proud wolf parents take care of their babies with much tenderness. These are some wonderful moments that will stay in my heart! 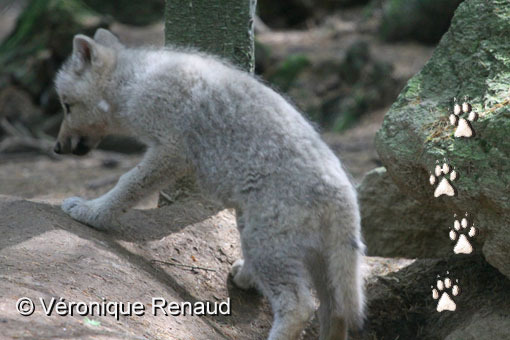 Responses to "An Encounter with 2 Arctic Wolf Pups... (Photos)"
Anyone that don't like Wolves, Well, there is something Wrong with you. 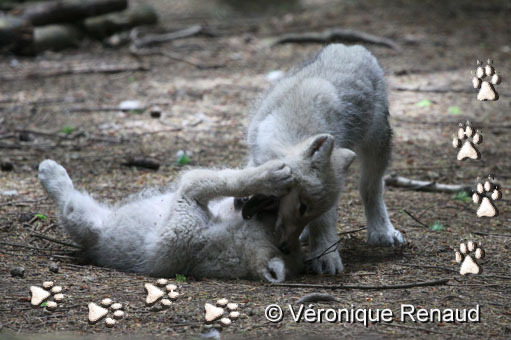 Just look at these Beautiful Wolf Pups having Fun. Wonderful! Beautiful!! I love wolves!! Absolutely beautiful Veronique!Thanks for taking time out to share.I too love wolves. May they live long and healthy lives! Wolves are beautiful, innocent creatures. I absolutely adore them. Why would anyone want to kill them? This just isn't right and needs to be stopped, if enough people stand up against it, it will be stopped.